Children's entertainer Newton Le Willows. in Newton Le Willows area. We supply supreme. fast-paced shows for children. Kid's Celebrations incorporate a variety of Tricks, Party dance songs, Party games & Modelling balloons for prizes. Our wonderful shows will assure kids of every age groups amused for the length of the show. Move lower down this page to see a video montage of children's parties Newton Le Willows. Dozy Dave and his magical colleagues are the most amazing Birthday Party Magicians Newton Le Willows. His fast-moving parties incorporate a blend of Fun magic, Music, Competitive Games and Modelling balloons and are the perfect choice for your little one's event. Baptism or Anniversary. Select from the One Hour - One and a half Hour or full Two Hour packages. Each package has plenty of involvement, presents and laughter for children of every age. Dozy Dave has been performing since 1996 as a professional Children's Entertainer Newton Le Willows and can provide a mix of different packages to suit your requirements any day of the week. 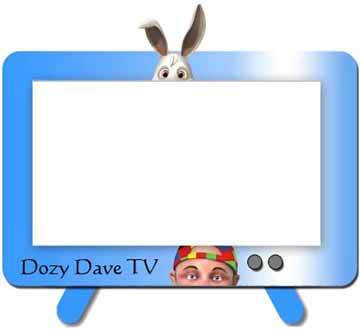 Dozy Dave covers all areas of Newton Le Willows, Liverpool, Merseyside and Wallasey. When you are looking for party entertainment in Newton Le Willows. Dozy Dave and his magical colleagues have plenty of different party packages to suit all pockets and ages of children. Please do not hesitate to phone Dozy Dave Children's Entertainer Newton Le Willows if you are looking for something marvellous? As Dozy Dave and his colleagues will do their best to make sure your event is the talk of Newton Le Willows.